Syrian Turkish-backed forces went on the rampage in Afrin on Sunday, pillaging shops and homes after taking control of the northern city, AFP correspondents and a monitor said. After chasing Kurdish fighters from Afrin, the pro-Ankara fighters broke into shops, restaurants and houses and left with foodstuff, electronic equipment, blankets and other goods, the correspondents said. They placed the loot in cars and small trucks and drove them out of the city, they added. 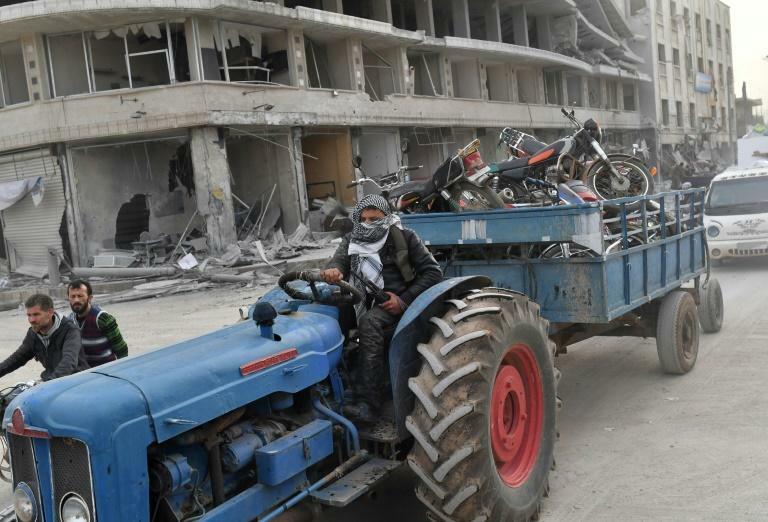 Most of the city's 350,000 residents have fled since Turkey and allied Syrian rebels on January 20 launched an air and ground offensive to chase out the Kurdish People's Protection Units (YPG). On Sunday, the Turkish flag was flying in Afrin after the Turkish troops and their Syrian allies drove the Kurdish militia out. The Britain-based Syrian Observatory for Human Rights war monitor confirmed the reports, saying Turkey's Syrian allies "have begun pillaging private property, political and military sites and shops". 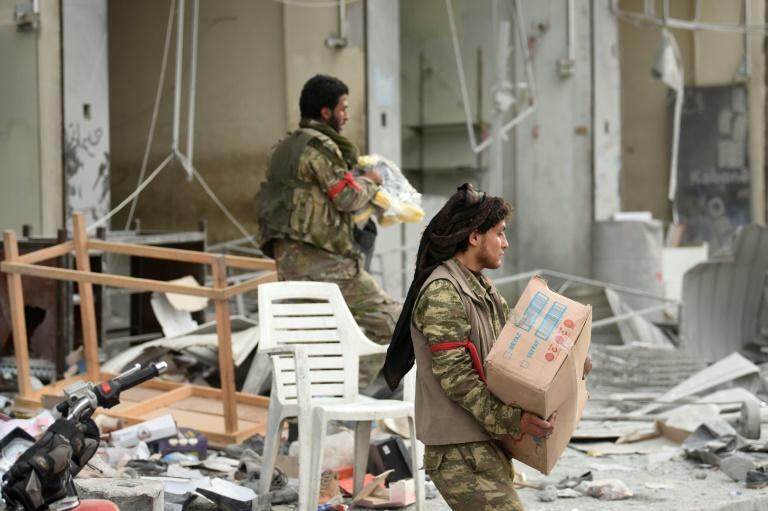 A resident of Afrin told AFP earlier in the day that he had seen the pro-Ankara fighters breaking into shops to loot what was inside while others stole cars that had been parked on the streets. Some fighters also set fire to shops that sold alcoholic beverages, an AFP correspondent said. And a statue of Kurdish hero Kawa, a symbol of resistance against oppressors, was torn down as Turkish forces and their allies fanned across the city and fired into the air to celebrate their victory. Turkey sees the YPG as a "terrorist" offshoot of the outlawed Kurdistan Workers' Party (PKK), which has waged a decades-long insurgency against the Turkish state.